Water Line Repipes & Repair - San Diego CA - Steele Plumbing, Inc.
a spike in your water bills? discolored or bubbled areas on your walls? hot spots on your floors? sink holes or pooling water in your yard? leaks in your home or business? All of these can be signs of broken, corroded, scale-filled, or leaking water lines. But whether the issue lies with the main water line running to your home or business or one of the water lines running to a kitchen or bathroom fixture, we can help. In some cases, we can put a stop to leaks and issues by making repairs to existing lines. Other times, it may be more cost-effective and more effective overall to simply bypass the existing water lines and install new piping. But don’t worry — our licensed and experienced plumbers will assess your situation and recommend the best fix for your issue. Polybutylene pipes were commonly used for main water lines and interior water supply lines here in San Diego from the late 70s to the mid-90s. While these pipes can be long-lasting, the minerals and oxidants commonly found in our water can lead to scaling, flaking, and deterioration. 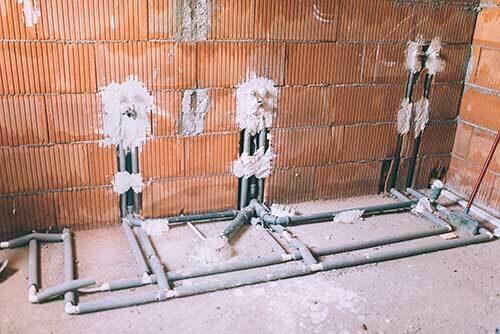 If deteriorating or damaged polybutylene pipes are to blame for your leaks and plumbing issues, we can repair or repipe and provide a long-lasting solution that protects your property against future leaks. PEX pipes — PEX is a flexible and long-lasting pipe material that’s designed to fit together with fewer fittings and joints and to resist breaks and cracks. 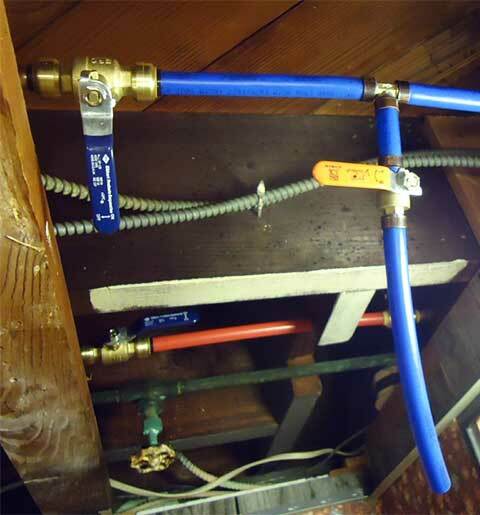 PEX piping is quiet and provides fast water transfer, and the best part is it’s budget friendly. Copper pipes — Copper is one of the most durable piping materials out there and has been known to last over 100 years. With its resistance to moisture, corrosion, bacteria, and fire, copper makes a great material for water supply lines. The only downside is that, if it’s installed outside of your home or business, it is more likely to be stolen than other piping materials are. Adding a water supply line to an appliance, like a washing machine, dishwasher, or refrigerator? We can help with that as well. Our team is experienced in new water line installation and we can make the entire process simple and stress-free. If you have any questions about our water line repipe and repair services or you’d like to request an appointment with San Diego county’s preferred plumber, call 619-254-7285 or click here. We’re here to help with all of your commercial and residential plumbing needs, day or night. We have experienced, certified plumbers ready to help with any kind of plumbing installation or repair, including angle stop repair or replacement.